They say that the eyes are the windows to the soul. The eyes usually express our thoughts and emotions. Because eyes are essential to us both physiologically and aesthetically, we must do our best to keep them in their best condition. However, like most parts of our face, our eyes are subject to the effects of aging. Signs like drooping eyes, dark circles, eye wrinkles, crow’s feet and baggy eyelids are the usual effects of prolonged sun exposure, genetics and old age. Aside from the physical effects, these conditions can also affect sight, especially in older people. Although there are some make-up solutions to make you look younger, they can only go as far as temporarily masking your problem. Thankfully, there are some plastic surgery options available for eyelid problems. 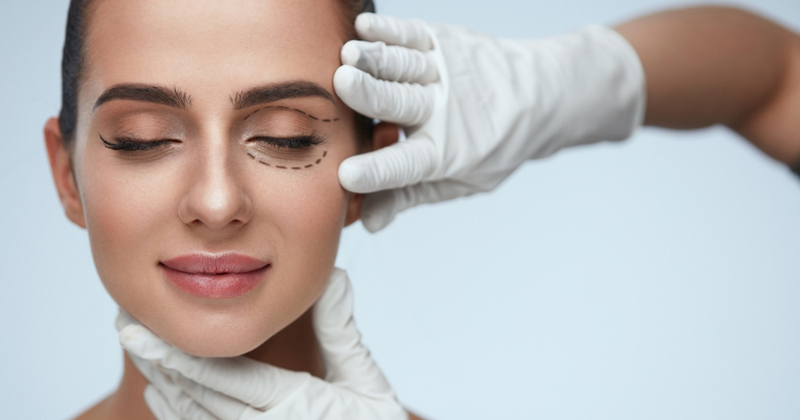 Eyelid surgery and brow lift are two of the most popular procedures available to address your eye issues. 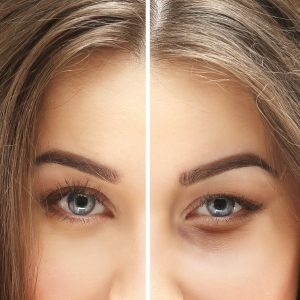 Keep reading to learn the differences between eye surgery and brow lifts. Eyelid surgery, also called a blepharoplasty, is a procedure that addresses baggy eyelids. The lower and upper eyelids usually develop excess skin, which happens when the skin loses its elasticity. As a result, your eyelids may droop, causing a drastic change in your appearance. Droopy eyelids can also make you look tired, stressed and actually older than you really are. These are common effects of aging and are usually inevitable. Blepharoplasty is a procedure that can modify the upper and lower eyelid. The procedure is performed by removing the excess skin or fat on the eyelids. Scare are placed in natural creases to minimize their visibility. Recovery is usually about a week to 10 days. Your plastic surgeon will need to examine you to see if you are a good candidate. In some patients, the eyebrows descend encroaching upon the upper lids leading to a tired or angry appearance. A brow lift elevates the eyebrows and, in some cases may improve upon furrows and wrinkling in the forehead. There are different types of brow lifts. Surgeons perform some through endoscopes, while others require longer incisions. Your plastic surgeon will help guide you to your best option. While one or the other may be all that is necessary in some cases brow lift and eyelid surgery are combined. While they are separate areas, they must be considered together because of their proximity. An in-person examination by your surgeon is necessary to determine if one or both are needed. To know which procedure is best for you, contact a trusted, board-certified plastic surgeon like Dr. Adam Tattelbaum for a consultation. Dr. Tattelbaum takes the time necessary to completely understand your goals, answer your questions and address your concerns. At no point will you feel rushed or pressured. Call 301-656-6398 today to make an appointment at one of our three convenient locations.